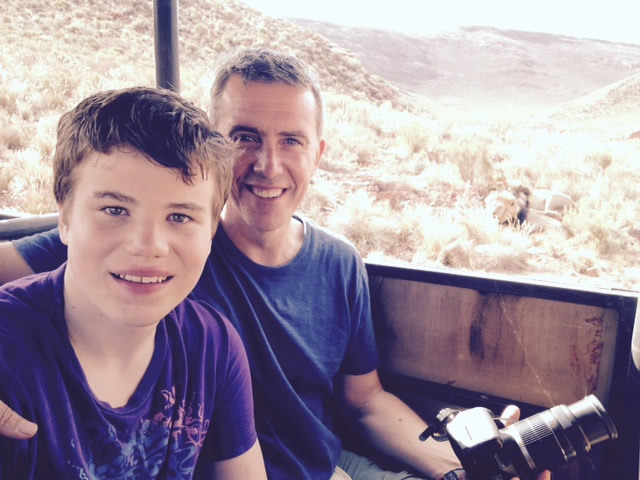 In 2015, Dr James Best took his 14 year-old son Sam, who is on the autism spectrum, on an epic journey through Africa, visiting ten countries over six months. Dr Best and his wife, Benison O’Reilly, co- author of the Australian Autism Handbook, had devised an intervention to purposefully expose Sam to prolonged novelty and uncertainty, in order to improve his communication and life skills. Jammed into local minibuses, hitching on wheat trucks, canoeing down rivers, doubling on motor bikes, they randomly ventured into the crazy cities and spectacular landscape of Africa, experiencing the cultures and people of the continent, talking to fellow travellers and locals, dealing with huge challenges for both of them every day. The intervention was studied by researchers at Griffith University in Brisbane to see if this type of exposure to uncertainty would benefit an adolescent on the autism spectrum. In July 2017, a book on the venture, Sam’s Best Shot, will be published by Allen & Unwin, and an episode of the ABC TV’s Australian Story, will reveal what happened. There is also a blog, samandjames.life where you can check out some of the travelling highlights and photography of their journey. Read and watch Sam and James dealing with confusion, corruption, getting lost, impenetrable accents, sickness, injury, getting robbed and encounters with the amazing people and wildlife of Africa. And find out what happened to Sam.